700 employees working for the Norwegian ferry company Color Line can finally breathe again. After strong pressure from union representatives and federations, the Norwegian government has decided that Color Line will not flag out. This means the profitable shipping company cannot replace Norwegian seamen with workers from countries where labour standards are weaker. Unrest at the ferry company flared up in October, when the government presented its budget proposal. 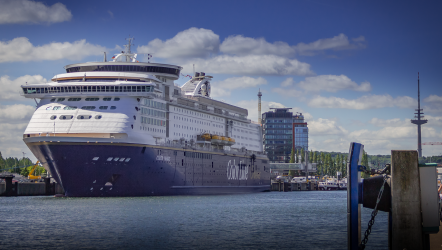 A proposed change in the so-called Speed Area Regulations for Foreign Ferries would have allowed Color Line to outflag the two Kiel ferries, moving them from the Norwegian Ordinary Ship Register to the Norwegian International Ship Register. The realisation of these plans would have placed 700 Norwegian jobs at risk. Fortunately for the employees at Color line, they have trade unions fighting at their side. In the end, sustained pressure from the Norwegian Seafarers’ Union (NSU) and its political allies made sure there was no majority for the government proposal.